The 39th annual Speedway Children's Charities Gala presented by Sonic Automotive on May 22 at The Ritz-Carlton in Uptown Charlotte promises to be one of the most spectacular in its storied history. The 39th annual Speedway Children's Charities Gala presented by Sonic Automotive on May 22 at The Ritz-Carlton in Uptown Charlotte promises to be one of the most spectacular in its storied history. Headlining this year's gala is a special recognition for NASCAR Vice Chairman Mike Helton, a longtime NASCAR executive who in 2000 succeeded Bill France Jr. and became the third president of NASCAR. In addition to Helton, a star-studded group of headliners including country music star Justin Moore and world-class Chef Robert Irvine will cap off the festivities at the gala. Moore will regale the crowd with No. 1 hit songs including "Small Town USA" and "If Heaven Wasn't So Far Away," while Irvine will prepare a first-class menu for attendees. "The Speedway Children's Charities Gala gives us a chance to help children in the greater Charlotte community and to celebrate our motorsports industry," said Marcus Smith, the vice chairman of Speedway Children's Charities. "It's fitting that we have such a special event like the gala during the week of the 60th Coca-Cola 600 at Charlotte Motor Speedway. The gala also provides us with the perfect platform to salute the tireless efforts of Mike Helton, one of the most influential people in NASCAR. Mike's leadership has been invaluable, and having him join us for the gala is a real privilege. Our attendees are also going to enjoy a world-class meal thanks to Chef Robert Irvine, and they're going to love listening to Justin Moore's excellent music. It's going to be a real show for everyone." The gala serves as a marquee fundraiser for Speedway Children's Charities' Charlotte chapter, a far-reaching nonprofit which assists children in need throughout the Charlotte area. The black-tie event features many prominent dignitaries from the motorsports industry as well as the nonprofit sector throughout Charlotte, the home base of Speedway Children's Charities since its founding by O. Bruton Smith in 1982. Among Helton's numerous accomplishments since his NASCAR tenure began in 1980 at Atlanta Motor Speedway are monumental improvements to driver safety and leading the sport's extended reach to television audiences worldwide. Helton is regarded as one of the foremost minds in motorsports, having helped spearhead NASCAR in its pivotal transformation from a regional attraction in the 1980s to the international phenomena for which it is known today. Additionally, Helton is a longtime supporter of and advocate for Speedway Children's Charities. Moore - a platinum-selling entertainer - performed a pre-race concert before the 2017 Monster Energy NASCAR All-Star Race at Charlotte Motor Speedway. The renowned singer and songwriter's last three albums have topped the country music charts. His next album, "Late Nights and Longnecks," releases on April 26. Like Moore, Irvine is no stranger to America's Home for Racing. The award-winning chef, who is known for hosting some of the Food Network's most popular shows including "Restaurant: Impossible" and for founding the military veteran-supporting Robert Irvine Foundation in 2015, will prepare a grandiose menu for attendees. 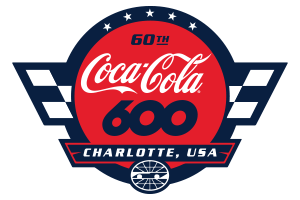 Irvine visited Charlotte Motor Speedway last May as the grand marshal for the Coca-Cola 600 on behalf of Coca-Cola and the USO.